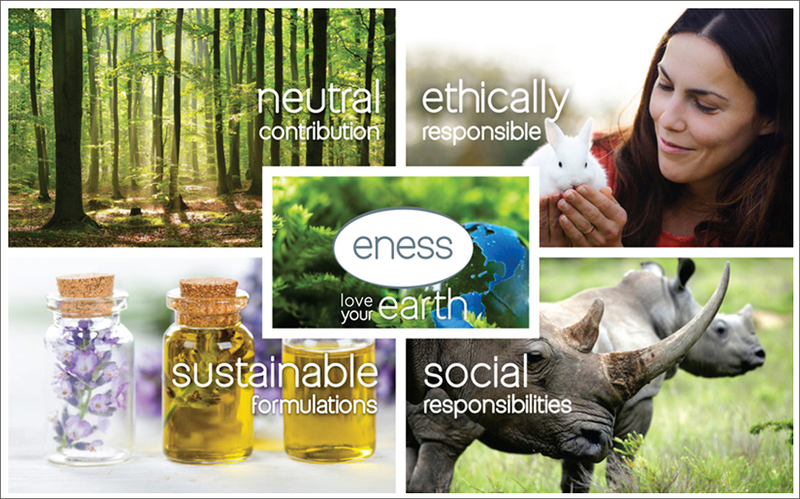 ENESS is an ethically responsible company using sustainable formulations, created with the utmost respect for our earth! We’re dedicated to giving you the very best beauty without cruelty, body care products. We buy smart, sourcing packaging and raw materials worldwide, to maintain the lowest prices. Our quality is maintained by remaining abreast of technology, utilising sound product formulations, taking great care with fragrancing and ensuring all our products are user-tested before production is started. If you would like to experience our full range of products​, visit our store in Cannon Street, Birmingham. We know you will enjoy using them, because they are made from the purest of ingredients. ENESS supports the Save the Rhino Trust in Namibia, which works tirelessly to protect the desert-adapted black rhino of the Kunene and Erongo regions. By using our ENESS products you will enjoy luxurious body care and help ensure the future of the rhino. Purity: ENESS only uses approved cosmetics and pharmaceutical grade raw materials and FDA approved colourants. Safety: All ENESS products are user-trialled as well as toxicology and challenge tested. Ethical: ENESS does not use animal products or extracts, and never tests on animals. ENESS does not use any raw materials that are unsustainable e.g. palm oil.